Australian Ninja Warrior has cemented its place as the biggest hit show of 2017, with The Final Stage of the competition drawing an average national TV audience of 3.087 million. Not only is Australian Ninja Warrior the biggest new show to launch since 2012, but last night’s grand final result brings the current consolidated national average TV audience for its three-week season to a massive 2.454 million per episode (5 City: 1.727 million / Regional: 726,000). Australian Ninja Warrior has also outperformed the audience for the 2016 Olympic Games in Rio de Janeiro, with every episode rating higher than every session of the Games. Ninja’s 5 City metro consolidated average came in at 1.727 million, which is above the average 1.409 million viewers who tuned in for the Olympics last year (average combined audience of ‘In Rio Today’ on Seven, and primetime highlights on 7Mate and 7Two). “The reception for Australian Ninja Warrior has been phenomenal, and the team at Endemol Shine Australia has to be commended on the brilliant show they have delivered,” said Michael Healy, Nine’s director of television. Since its debut on July 9, Australian Ninja Warrior has driven significant online traffic across Nine’s digital channels in short-form video views, news content across key properties such as the lifestyle site 9Honey, fitness site 9Coach and celebrity site 9The Fix. 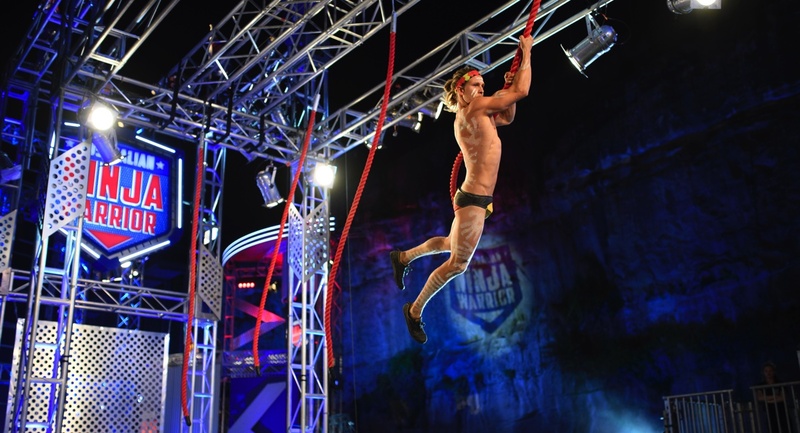 Across social, Australian Ninja Warrior has led the online discussion, coming in as the number one All Series show on the Nielsen Social Content Ratings for eight of its nine episodes. In video, Australian Ninja Warrior has driven continued strong growth in new sign-ups to the live streaming and on-demand platform 9Now, which this week is poised to pass the 4 million subscriber mark. Australian Ninja Warrior has also driven significant video consumption across the nine.com.au websites and 9Now, with more than 700,000 minutes of Ninja short-form video and more than 17m long-form minutes consumed across 9Now and nine’s other digital properties, while news stories around the show also drove major upticks in traffic on the 9Honey lifestyle network. “What has been fascinating to see is the Australian audience’s appetite for Australian Ninja Warrior’s content online,” said Helen McCabe, Nine’s head of lifestyle. “Across our digital lifestyle network we have seen different types of Ninja-related stories do well on different properties. For Nine, the success of Australian Ninja Warrior has once again confirmed its commitment to growing audiences across the key demographics, both in television and online, this year. “Australian Ninja Warrior is without a doubt the breakout hit of 2017,” said Michael Stephenson, Nine’s chief sales officer. Nine confirmed that the 2017 prize money of $100,000 would be rolled over for next year creating a $200,000 prize and will continue to increase, until a contestant conquers Mount Midoriyama. “Australian Ninja Warrior will return for a second series in 2018 and we are excited to see not only all of our favourite Ninja contestants from series one return but a host of new Australian Ninjas inspired by the show,” said Healy. Nine and Endemol Shine have already opened up applications for 2018. Those seeking to conquer the world’s toughest obstacle course can enter at ninjawarriorcasting.com.au.